Good morning. It's been a couple weeks since I posted a recap. I'm not really sure what happened last week, but I never got around to writing up my Monday recap. I did get some things up on the blog, though. I'm participating in the 2013 Big Book Challenge hosted by Sue at Book by Book. I highlighted a new book in the Dominic Grey series: The Diabolist by Layton Green. I am still halfway through The Diabolist. 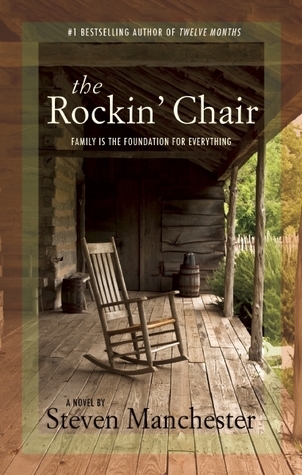 I had to put it down to read another book I have for review, The Rockin' Chair by Steven Manchester. I'm almost done with that one. I have to read my June book club selection, Firefly Lane by Kristin Hannah, next. I'm running out of time! Then I need to move on to one more review book: Parallax View by Allan Leverone. I think I took on too many review books this month!!! C finished The Hero's Guide to Saving Your Kingdom by Christopher Healy, and loved it. 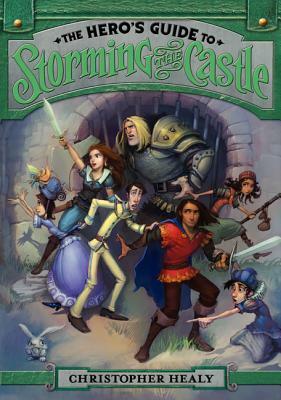 So he started on The Hero's Guide to Storming the Castle, the second book in the series. He's almost done with it and really enjoying it. I read both of these books, so you can click on the titles to read my reviews. It's a great, very funny series! M has three books that she has been reading for a while. She goes back to them every couple of days and reads a chapter or two. So she's currently reading Junie B. Jones and a Little Monkey Business and Junie B., First Grader Boss of Lunch, both by Barbara Park. She's also reading Ivy and Bean Break the Fossil Record by Annie Barrows. What are you reading this week? It's Monday! 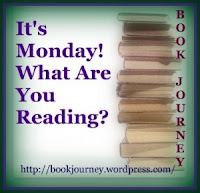 is hosted by Sheila at Book Journey, so hop over there if you'd like to see what others are reading too. I've missed you on Mondays, Julie! You do sound like you have your hands full. Firefly Lane is a fairly quick read, in spite of its size. I haven't heard of the others you're currently reading - will have to check them out. Yes, I've been a bit busy! And we went on a last-minute camping trip this weekend, so that didn't help! C-I just won those books in a contest :) Happy Reading to you all! Here is my Monday .